The Harbortown 3 Miler has grown to be one of Memphis’s premier running events. The race takes runners through one of the most scenic courses Memphis has to offer, starting with a stroll down the Mississippi River and winding its way through the beautiful Harbor Town neighborhoods. We cap the night off with an eventful block party at Harbor Town Square, packed with free food, drinks, and live music. Through the continued support of The Phoenix Club and each of its members, the Boys & Girls Clubs' programs continue to grow and serve the many Memphis youths in desperate need of the education, training, fellowship and support provided by the Boys & Girls Clubs of Greater Memphis. This race is part of the M-Town Race Series presented by University Clinical Health, which features Zoom Through the Zoo, Harbortown 3 Mile, Orion 5K and the Stars and Stripes 5K. The Harbortown 3 Miler is always looking for new sponsors and partners. The Phoenix Club and our sponsors share a passion for the development of Memphis’s youth and the Boys & Girls Club of Memphis. Through billboards, print marketing, social media, race bags and t-shirts, we offer an opportunity to not only get your brand tremendous exposure, but to know that your money is going towards an awesome cause. 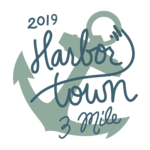 Please send us an email at HarborTown5kRun@gmail.com for sponsorship details.